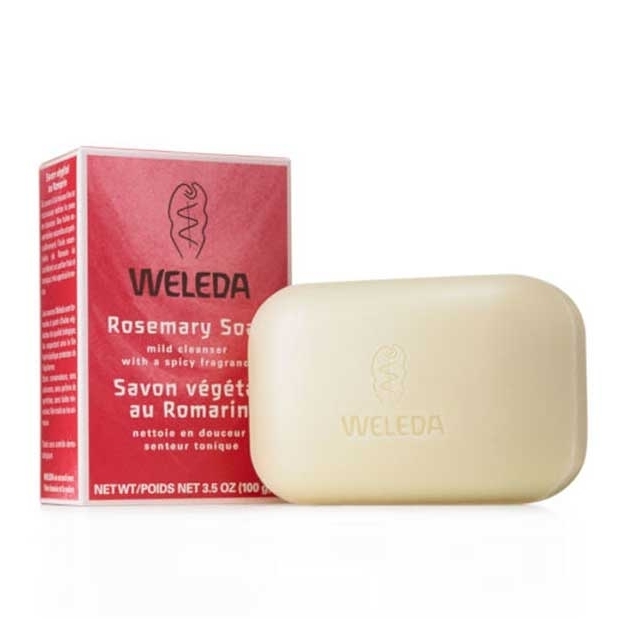 Energize your body and mind with this invigorating bar soap that reveals cleansed, luminous skin. Popular with both men and women, the mild formula produces a rich, spicy-scented lather that rinses clean and refreshes the senses. A base of pure vegetable oils delicately nurtures skin while stimulating rosemary oil awakens the senses. Has a rosemary scent. Wash entire body using soap and a sponge, wash cloth or simply your hands.